In the run-up to the 40th André Simon Awards, WLC’s sister title the drinks business is running an extract from each of the shortlisted books in the drinks category. 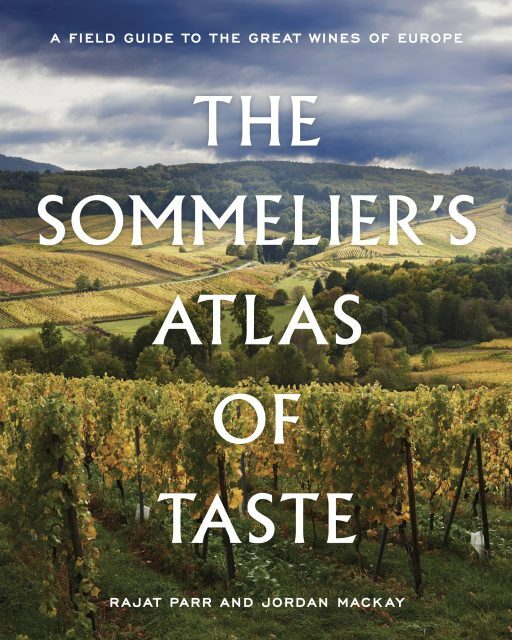 This time, Rajat Parr and Jordan Mackay contemplate the issue of terroir in their book, ‘The Sommelier’s Atlas of Taste’. Make no mistake, we are believers in terroir, but we also recognize that it’s at once the most meaningless and meaningful term in wine, and still has the power to raise hackles and incite debate. This is somewhat surprising, considering that the term, which was once owned wholly by the French, has now permeated the general vocabulary of wine and food in many other languages. Indeed, terroir has even infiltrated popular culture to an almost absurd degree. For instance, these days, in wide use is the term merroir to refer to the impact of specific marine environments on oysters. A 2015 Rolling Stone article on basketball was titled “The ‘Terroir’ of the Atlanta Hawks.” In 2017, the webzine The Awl ran a piece called “Instagram Has No Terroir.” We’re still waiting for hairoir (the effect of environment on hairstyles) and fairoir (a look into expression of locality in music festivals). If you’re reading this, you no doubt have some sense of the word, but in case you don’t or so we can simply be clear, we’ll take a moment to ponder what all the fuss is about, as defining terroir is a messy and unmanageable task. We’re often reminded that terroir is a word with no exact translation into English, which faintly suggests that we native English speakers are incapable of ever truly understanding its complex layers of meaning (the French would no doubt agree with this). Perhaps that is so, but we can give it a shot. One thing is clear: Because of its similarity to the familiar Latin root terr, meaning earth or land, many people associate terroir first and foremost with soil. “What’s the terroir like?” we’ve heard asked more than once by someone who really just wants to know about a vineyard’s soil profile. Of course, if you’re already a student of wine, you know the implication of terroir goes far beyond soil. There are many good attempts to define terroir in English, but a classic one can be found in the introduction to the book called Terroir (James E. Wilson, 1998), written by renowned British wine writer Hugh Johnson, who elegantly defines the term as “. . . much more than what goes on beneath the surface. Properly understood, it means the whole ecology of a vineyard: every aspect of its surroundings from bedrock to late frosts and autumn mists, not excluding the way a vineyard is tended, nor even the soul of the vigneron.” With its descriptive flourishes, Johnson’s definition captures the all-encompassing sense of terroir. Invoking the vintner’s soul is a nice touch to remind us that it will always linger beyond our grasp. That Johnson prefaces his definition with “properly understood” is disarming. How can we be expected to understand the entire ecology of a vineyard, the impacts of farming methods, and the interior life of the farmer? Much less properly? The overwhelming complexities make that equation untenable, which is why some writers have turned to simple, equally inscrutable methods. Wine writer Matt Kramer understood this in coining the term “somewhereness”. He wrote (in Making Sense of Wine), “Great wines taste like they come from somewhere. Lesser wines are interchangeable; they could come from anywhere.” Kramer’s definition is helpful because it lassos terroir down into the realm of taste, something we can all relate to. Johnson’s definition reaches for the unknowable; Kramer’s brings it to our lips. That was written in 1990. In the ensuing quarter century, a great deal of wine science has been done, yet terroir still remains at odds with science. By employing definitions that invoke “soul” and “what cannot be measured,” terroir believers resist the scientific interpretation of the term. But that hasn’t stopped science from trying to prove or disprove terroir. And that’s understandable. We’re curious animals; we want to explain everything. the drinks business and the André Simon Awards will also be offering readers the chance to win a copy of each of the shortlisted books over the coming weeks. Stay tuned to our social media channels on Twitter, Facebook and Instagram for further details.